The 2016 Annual American Turkish Council (ATC) Conference was held at the Ritz-Carlton Ritz Carlton Hotel in Washington, D.C. The event, organized by the Turkey-U.S. Business Council (TAİK) and the American-Turkish Council (ATC), successfully convened once again, bringing together hundreds of stakeholders and thought leaders to address key bilateral commercial and diplomatic topics. This year’s theme was: Shaping the Future: Business, Innovation, and Growth. The theme reflects the vision behind the Annual Conference: to fortify and develop the critical economic, political, and security linkages that support the longstanding U.S.-Turkey partnership. With over 500 participants, in more than 20 industries, CEOs, entrepreneurs, investors, key Members of the U.S. Congress and the Turkish Parliament, as well as Ministers and Cabinet Secretaries assembled to discuss macro and sector-specific topics. The ATC’s support of defense industry investment initiatives was evidenced by the comprehensive US-Turkey defense policy panel sessions, with top tier representation from the US and Turkey who led key discussions that framed the future landscape of cooperation between the two countries. 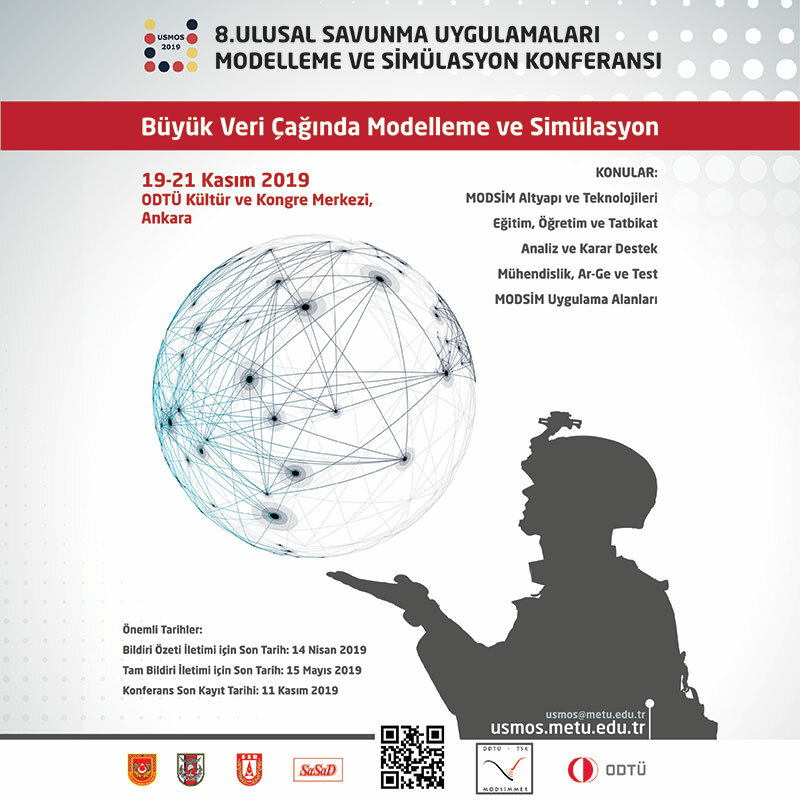 In addition to the Defense Industry, the conference included a variety topics with distinguished panelists and workshops across a variety of industries, including: manufacturing, defense procurement and security cooperation, telemedicine, construction, tourism, trade and investment and renewable energy to name a few, addressing geopolitical issues of common interest and sector growth in Turkey and what the implications will be for economic growth and connectivity with Europe. Conference Participants included: LTG. Yavuz Türkgenci Director of Plans and Policy Directorate Turkish General Staff, Prof. İsmail Demir, Undersecretary for Defense Industries , Mr. Köksal Liman, Deputy Undersecretary for Defense Industries, Lieutenant General Kenneth F. McKenzie, Director, J-5, Strategic Plans and Policy, Joint Staff, Prof. Arif Ergin, President of TÜBİTAK (The Scientific And Technological Research Council Of Turkey), Executives of TAI, Havelsan, Roketsan , STM, Vestel, Kale Aerospace, SNC, Lockheed Martin, Raytheon, DowAksa, Honeywell and Pratt Whitney. Sierra Nevada Corporation (SNC) was a platinum sponsor for this year’s event, with contribution from TRJet and ESEN System Integration. For the first time, a networking reception was hosted on the evening of the first day of the conference, rather than a formal dinner, that created a more interactive and social environment for this year’s participants. Opening Ceremony, Welcoming Remarks, Keynote Address and Remarks were presented by Howard G. Beasey, President & CEO, American-Turkish Council; General James L. Jones, USMC (Ret.) Chairman, American-Turkish Council; K. Ekim Alptekin Chairman, Turkey-U.S. Business Council (TAİK); Ömer Cihad Vardan, President, Foreign Economic Relations Board (DEİK); General John. P. Abizaid, Strategic Advisor, Sierra Nevada Corporation. Following the singing of the Turkish national anthem and the American national anthem, Mr. Beasey welcomed distinguished guests to the 35th Annual Conference on U.S.-Turkey Relations and thanked the event sponsors as conference participants set forth to begin a dialogue of discovery and information sharing designed to shape the future, creating a path leading to a new era of growth. Business leaders from the United States and Turkey explored avenues to foster growth to increase their bilateral trade. Appreciation was noted for the efforts of participants in committing a significant amount of time and personal resources to be in attendance. The primary purpose of the conference each year is to highlight for the international community the fact that the US and Turkey are allies and are partners, sharing mutually in the growth and stability of one another as well as around the globe. Each year, well ahead of the conference itself, a conference theme is agreed upon that is intended to underscore the major themes and trends in the bilateral relationship during the past year. It was noted that the conference planners from both ATC and TEI coalesced around this year’s theme with exemplary partnership. Turkey and the US form a central relationship because of location, because of what the countries stand for, the economic welfare, the national security, the individual freedoms and democratic rights of one has a critical bearing on the other. In addition to being national security allies, the US and Turkey are commercial partners thanks to the thousands of joint ventures that create jobs and improve the living conditions of millions of Americans and Turks around the world. This past summer Turkey’s government survived an attack on its democracy, an event that was recognized immediately by the United States, even as the events on the ground were unfolding. The United States continues to standby their partners and friends and allies and support Turkey’s effort to recover and strengthen its institutions. As a result of the July 15th attack, Turkey and the United States has enjoyed a reinvigorated relationship and it was noted that the collective mission of the conference was to ensure that this dialogue continues to expand over the course of the coming year. Panelists shared that the conference was occurring at a time when the world is going through serious turmoil and that it may be one of the most critical periods in modern history, and both Turkey and the US have front row seats...rendering Turkish-American partnership to be as relevant as it has ever been. Despite occasional disagreements, it was noted that fundamental strategic objectives are aligned and both Turkish and American leadership is urgently needed to chart the path toward peace and prosperity in Europe and the Middle East. It was stated that the conference focuses on the prosperity part of the equation and that over the 2 conference days, discussions will seek ways to harness and combine the entrepreneurial spirit, the technological ingenuity of the US and Turkish economies. The evolving technology landscape and its affect on industries from financial services to agriculture, cyber security were examined as well, and how to enhance cross border foreign direct investment in both countries to achieve a shared economic vision. After the failed coup attempt in July 2016, Turkey has undertaken an aggressive reform and realignment of roles and responsibilities within the Ministry of Defense. The Turkish General Staff, J-5 lead the discussion by addressing the Turkish Armed Forces modernization efforts and goals for the near term and in the future. The conversation also included the increased responsibility of Turkey’s Under Secretariat for Defense Industries (SSM) for national security-related procurement programs and defense industrial base matters. Finally, discussions were held regarding the U.S. State Department and Department of Defense review of Security Assistance Programs, with a particular emphasis upon the Foreign Military Sales Program, to streamline and improve the responsiveness of these programs providing a detailed examination of reform efforts and the potential implication for future Defense Industry Cooperation. The moderator for this panel was Mr. Paul Mongillo, Vice President Global Business Development, Raytheon Integrated Defense Systems. Panelists included Laura Cressey, Bureau of Political Military Affairs, Office of Regional Security and Arms Transfers, U.S. Department of State; Prof. İsmail Demir, Undersecretary, Undersecretariat for Defense Industries (SSM) and Mr. Matthew Hardiman, Director, Bureau of European and Eurasian Affairs, Office of Regional Security and Arms Transfers, U.S. Department of State. This panel focused on existing cooperative initiatives and continued joint efforts between key defense industrial concerns and the prospects for building on past and existing programs to expand into other developing areas such as cyber, composite materials, drones, support systems and more. Despite past and ongoing successes, challenges remain and require illumination, understanding and resolution, so that growth can continue. The moderator was Lt. Gen (Ret) Michael Moeller, Vice President, Business Development, Pratt & Whitney. Military Aircraft Engines. Panelists included Mr. Pete Costello, Senior Director, International Business Development, Honeywell; Mr. Nadi Köklü, Vice President, Technical Division, Kale Aero; Mr. Douglas Parks, CEO, DowAksa; Mr. Naki Polat, Executive Vice President, Aerostructure Group, TAI and Ms. Nancy Ziuzin Schlegel, Vice President, International Government Affairs, Lockheed Martin. Despite the growth of many successful programs, it was stated that challenges remain that must be understood and resolved in order to ensure that future opportunities can be taken advantage of. Nancy Ziuzin Schlegel, Vice President, International Government Affairs, Lockheed Martin provided insight on this topic. In a complex and dynamic security environment, and as Turkey’s security requirements evolve, from air and missile defense to maritime security and beyond, Lockheed Martin shared their commitment, standing ready to work with the Turkish government and Turkish industry to offer advanced technology and risk mitigation solutions while promoting long term, sustainable, high-tech jobs, growth and exports for Turkey. Bringing the best solution to the table, Lockheed Martin partners with countries around the world on programs like the Joint Strike Fighter, establishing interoperability among allies. Lockheed’s F35 program provides the US and its allies with unmatched interoperable air defense networks for their partners. In Europe, with 8 of the 9 partners being members of NATO, the F35 will be the backbone of future air operations. Last year they delivered a record 45 aircraft to their customers and are on track this year to deliver 53 aircraft including 5 from the Italian production facility. By the end of this year there will be 200 F35s flying. Turkey has been a partner in this program from the beginning, from concept demonstration continuing to the production phase. Every F35 flying has Turkish equipment or parts installed, including some with center fuselages, which is the most complex structural section of the aircraft, which are produced by TEI. Lockheed works with a number of Turkish companies including AYESAŞ, Kale Aerospace, Alp Aviation, Havelsan and Aselsan, on next generation technology in support of production, sustainment and training on the F35. The F35, F16, the TUHP and the SOMJ are examples from Lockheed’s decades long collaboration with the Turkish government and Turkish industry. Over the years they have worked to address Turkey’s security requirements with jet fighters, training systems, critical launch systems for frigates and vessel traffic management systems that control traffic through the Istanbul and Çanakkale straits. Over the past 60 years Lockheed has invested over $ 100 million in joint ventures, placing over $ 2 billion of direct work with Turkish companies, having spent nearly $1.2 billion in indirect offsets in Turkey. For example, in 1984 Lockheed and Turkish Aerospace Industries TAI created a joint venture which became TAI, over the years TAI has become the co-producer of the F16 and has progressively produced up to 80% of Turkey’s 270 of Turkey’s F16s, including 46 for the Egyptian Airforce. Lockheed’s partnership on the F16 has continued with F16 modernization programs not only for the Turkish Airforce but also for third countries, like Jordan and Pakistan. It was noted that Lockheed’s approach to Turkey has also included investment in human capital; human capital development, working with the Turkish population to create long term sustainable high technology jobs. They have engaged with Turkish universities, TUBİTAK and R&D centers across the country, funding impactful research programs with Koç University, Sabancı Univeristy and the Middle East Technical University, for example, and they emphasized their continued focus on their work with TUBİTAK on establishing an R &D center with university partners. Mr. Nadi Köklü, Vice President, Technical Division, Kale Aero shared insight on Kale Aero, a 50/50 joint venture with Pratt Whitney which now has several development programs which have matured, and are ready for serial production, a new phase for the industry. With a focus on research and development, 3 years ago Kale R&D research and development company was combined under one roof. It was noted that life cycle support, performance based logistics will be the key topics now as companies are concentrating on the sustainability of the sector and focusing on export initiatives as well. The modernization of the Turkish Armed forces, completed with companies from the United States has enriched Turkish industry with skills and engineering know-how, having accumulated over 30 years. The workforce of Turkey today is young and well educated and accessible in an ecosystem developed for partnership. The strategic political and economic traits are first tiers of US Turkish partnership and the cooperation of companies will significantly impact encourage governments to cooperate. Discussion also included the trends that have been identified in unmanned and smart systems, such as remotely piloted technology in the aviation sector. Unmanned systems for military use can have important benefits, such as enhanced performance, reduced cost and can also eliminate the risk that personnel may face during specialized missions. Kale’s partner Baykar has developed a mini version and tactical version, which is operational in the Turkish Army in the South East. New strategic unmanned aerial systems programs are also underway. On the dashboard now as well are cyber security, 3d printing, biotechnology, alternative fuel, propulsion solutions. Douglas Parks, CEO, DowAksa provided insight into the future of carbon fiber. DowAKSA recently closed a number of very high value projects and they have had conversations with the ministries in Turkey as they look toward expanding rapidly. With the new investment opportunities in Turkey, it has been remarked that it just makes sense to do that investment in Turkey. DowAksa is working very closely with SSM and TEI to understand what the opportunities are. Instead of just leveraging the infrastructure in Turkey, they intend to use the raw materials to create a much lower cost carbon fiber to really reach the promise of the broad adoption of carbon fiber in wind, automotive and ultimately in defense. Advancing technologies in aviation have influenced how bilateral joint development projects are executed. Moving from contract manufacturers to joint development partners involves the integration of the university chain in Turkey, and it was noted specifically for example, Purdue has a long history of working with the Middle Eastern Technical University and other universities in Turkey. Also mentioned was the subject of multi-action fabrics and the fact that DowAksa will soon announce a major pultrusion capability that they want to expose, to what they refer to as the dual-purpose environment, both defense and commercial. Understanding the cyclicality of both of these markets is a key focus. Mr. Naki Polat, Executive Vice President, Aerostructure Group, TAI discussed their current business portfolio, which is currently a measured player in the aerospace sector and stated that they intend to strengthen their position and take further steps to become a well-known global, world brand aerospace company. Over the last 10 year results, sales increased from nearly $ 200 million to over $ 1 billion, demonstrating a pattern of continuous growth, and reflecting that TAI is an export oriented company. In parallel to increasing sales and exports, TAI has moved up in ranking both in Defense News and Flight Global lists. The main drivers of growth have been TAI’s integration with the global aerospace industry and the ability to design and develop new platforms. TAI shared that it essentially wears 2 hats, as an OEM developing its own products and selling them to the Turkish Armed forces as well as to Allied countries, and TAI is also a reliable partner for the world’s leading aerospace companies. Activities on both ends will support TAI in its growth endeavours. A balanced portfolio between military and civil programs is crucial for future sustainability. TAI acquired a company in Hamburg, Germany – the main purpose of this international investment was to increase their business volume with one of their major customers, Airbus. A similar approach is on the horizon for TAI with previously established TAI-US, as a presence in the US is essential, they look toward the future with innovation and R&D, exploring how they can collaborate with international companies. It was noted that TAI looks at the future beyond their current work scope, in areas such as composite materials research, 3D printing, liquid molding processing and different textile techniques. TAI and Dow Aksa will be a charter company, with Koç university, R&D studies and also with Purdue University. It was mentioned that the technology will be demonstrated first in Indiana then would be transferred to TAI. It was disclosed that they will be concentrating mostly on composite 3D printing, using additive manufacturing technology, and that they were targeting to manufacture flying parts – aircraft or helicopter parts – with OEMs. TAI was set up as a Turkish American joint venture; their subsidiary TEI still continue a successful Turkish American venture. Building upon the strength gained from successful relationships, they invited US companies to partner with TAI for future growth. With the capabilities attained over the years with the model of cooperation, although private markets may change, they stated that they are confident that there are opportunities on both sides of cooperation. Mr. Pete Costello, Senior Director, International Business Development, Honeywell provided a description of Honeywell’s collaboration efforts in Turkey. Honeywell is currently engaged in expanding their product portfolio through collaboration in almost all of the future Turkish programs, such as the light utility helicopter, the Turkish regional jet, they shared that they look forward to collaboration in the FX program and are in discussions with TAI on unmanned vehicles as well. They shared with the audience that they are open to and look forward to collaborating with Turkish Industries on these products and others of the future, not just for the Turkish domestic market but that they look at any collaboration that they do in Turkey in reference to the global market and their global supply chain and that they would like to succeed together. Honeywell employs over 130,000 personnel in over 100 countries, and one of the countries specifically is Turkey. Honeywell Turkey was established in 1992, not only for business within Turkey itself but also as a regional hub for the global market. They have 3 offices in Turkey with over 300 employees, and covering all of the 4 major business groups within Honeywell. Their focus is to take their corporate focus on safety, reliability and efficiency products for all customers into the global market. Honeywell has a very broad portfolio, examples discussed were the current Turkish military aircraft, environmental control systems, flight control systems, avionics, lighting, auxiliary power units and engines. T53, T55, CTS800, multiple products across the portfolio on F16s, Blackhawks, C130s, and specifically on the F35, Honeywell supplies the power and thermal management systems, inertial navigation system, tactical navigation system and the wheels and breaks. It was mentioned that they are in discussion with SSM and local Turkish companies for local sustainment of those systems for the Turkish Airforce. In terms of avionics they supply inertial measurement machines with Roketsan, they also have a very close relationship with Aselsan providing them with inertial measurement units that go into the inertial navigation systems; collaborating with them on future avionics, not only in terms of supply and coproduction but also into co-development, a trend for all future collaboration with Turkish industry, moving from designed to print to actual collaborative design. An agreement with Alp Aviation was recently signed where they will be the component supplier for all of their wheels and breaks for both commercial and military applications globally, and it was disclosed that they are in discussions with them based upon recommendations from SSM for the joint strike fighter. Honeywell is working with both TAI and TEI to indigenize CTS800 engine. Honeywell has a very robust activity in terms of R&D and advanced technologies programs, and in terms of pilot interface – touch voice and gesture, augmented reality, virtual reality, speech neural linkage, connected aircraft where through datalinks satellite communications aircraft, be they military or commercial, could be connected so that the systems that are onboard are continuously monitored for health and predictive maintenance can be completed. Aircraft could be connected where they warn each other of hazards such as weather, windshear or other aviation problems. The topic of cyber security was discussed as Honeywell does a large effort in this area in terms of providing security services to the United States government. They shared that they are activity working on the issues, complications and solutions for providing cyber security for aircraft as avionics become more intensive and aircraft become more connected. ‘The Ties that Bind: The Importance of the NATO Alliance and U.S.-Turkey Strategic Cooperation to Regional Stability’ was discussed as part of an insightful interview with high level officials, who reflected upon the U.S.-Turkey strategic relationship, the seminal role that the NATO partnership has played in the bilateral relationship, and the global balance of power and the future direction of the relationship. The U.S - Turkey bilateral relationship has been facing a challenging time over the recent years as both countries have worked protect national interests in dealing with the ISIL threat. Despite some differences in the respective approaches in confronting this threat, it was stated that the military leadership in both countries has tried hard to find ways to work together. On the Syrian crisis, the importance of laying the proper groundwork before attempting to solve a problem was discussed in the panel, understanding the question is key to solving the problem, a reference to the scientific luminary Albert Einstein was made ‘to spend 55 min to understand the question and 5 minutes to answer it.’ The discussion surrounded the difficult task to understand the Syrian crisis, the worst crisis since WW2, the number of refugees, the number killed. Currently there are approximately 1,500 different groups in Syria, incredibly difficult to solve this complex problem as there are also actors from the outside that complicate the problem. The discussion also recounted that over the last year, the joint staff at General Dunford’s direction has undertaken an exhaustive analysis of the direction that the US Armed Forces are headed and how they fit into their strategic relationship across the world. The US relationship with Turkey is a strategic relationship, it is not a transactional relationship. More recently Turkey has led key ISAF missions (International Security Assistance Force) in Afghanistan twice, and as the relationship with Turkey is examined, the variety of NATO embedded, the centers of excellence that are in Turkey, and the fact that Turkey hosts the DASTY2 radar, which is critical for missile defense in southern Europe, are all the actions of a strategic partner. On a strategic level, the discussion moved to the topic of Russia, stating that Russia is seeking to impose vital interests in areas immediately adjacent, the Balkans the Caucuses, some parts of South Asia, some parts of East Asia. It was candidly stated in the panel that what Russia fears the most is NATO, many of their activities today are designed to drive splits into NATO because they have rightly identified that it is one thing they do not possess, a family of nations that recognize the emerging and reawakening threat, it is prepared to act against them, as they increasingly operate outside, in places like the Ukraine, Syria. In Turkey, operations such as NATO’s Active Fence air defense system are symbols of NATO solidarity with Turkey. In addition, the idea was shared that part of Russia’s reason for being in Syria is to go after NATO, to develop a wedge that can be driven against them. The ability to craft a common approach to that problem was said to be fundamental in answering that challenge; with all of the friction that NATO brings, it is an overwhelming decisive strategic advantage. For more than 30 years, the cooperation between companies from the U.S. and Turkish defense sectors has led to significant growth and development of the Turkish defense industrial base while creating a consistent and reliable market for U.S. companies. This panel explored how U.S. and Turkish companies can share the roles of R & D, end-product development, and production to reach new levels of innovation and open new markets for both countries and to discuss what will be the new paradigm of this relationship. The moderator was for this panel was Mr. Aziz Sipahi, CEO, AYESAS. The panelists were Mr. John Kelly, Vice President, Business Winning & Strategic Planning, BAE Systems; Mr. Richard Sandifer, Senior Director, International Capture, Raytheon; Mr. Jeff Schloesser, Vice President, Strategic Planning, Sierra Nevada Corporation; Mr. Lütfü Özçakır, Vice President, Training and Technologies Simulation Division, Havelsan and Mr. Hayri Torun, Operations and Energetics Systems, Roketsan. Panelists reflected upon the theme of this session, new defense trends and achieving a paradigm shift in the future of the US Turkey industrial collaboration. Mr. Jeff Schloesser, Vice President, Strategic Planning, Sierra Nevada Corporation discussed the topics involving businesses as they seek to work with governments in a way that moves beyond build to print, build under licensing, and actually tries to move into areas such as R&D, rapid prototyping and actual production. The discussion also touched on the importance of political stability, not just in Turkey but in the United States, and as a US company SNC is seeking not only a stable political system but also one that understands how budgeting is done. It was mentioned that in Turkey, politically stability was an obvious point of importance, as they look into Turkey they hope for stability, despite all of the tough neighborhood actors that surround Turkey on all sides. Importance was given to the need for fiscal stability and a stable currency, when striving to achieve success in the global arena, as well as structural reforms. It was stated that the availability of capital is key as well. SNC shared that they will be looking for shared risk, capital investment from the government itself and business partners . In addition, the topic arose for the need of a strong educational foundation that moves beyond STEM (science technology engineering mathematics) at this next level, the types of engineering that is done for rapid prototyping and the type of innovative R&D, requires the quest for knowledge and the quest for doing something new in a way that is different, requiring a level beyond high tech engineering graduates. It requires only the best, those that have an entrepreneurial vision toward a future that is unclear and a willingness to try to achieve, by working together as engineers and business people together. It was noted that there has to be a desire and the ability to interface between industry and government, not only because of the capital requirements in many cases but also the licensing requirements. In many cases, some of the defense sector technologies are ground breaking, and SNC stated that in most cases they could share them with their NATO allies, and this is why Turkey and the US make such great partners. Mr. Lütfü Özçakır, Vice President, Training and Technologies Simulation Division, Havelsan provided highlights regarding the New Era between Turkey and US Defense Relationships, noting the Havelsan HQ, training and simulation and R&D at METU, the naval combat systems center in Istanbul, test and integration facilities in Ankara. An important topic was the opening up of US Markets, getting the attention of the big companies in the US defense industry and the desire to engage in R&D with US companies. Quantum 3D Inc and Quantum 3D government systems, after 3 years successfully are in compliance with US rules and regulations; these examples were given, of 2 companies with US government approval. Havelsan is based on 4 main areas: command and control systems, training and simulation technologies, management information systems, cyber and security solutions. In addition to manufacturing simulators, it was shared with the audience that they are also working on training services, stating that the service business is a good value addition that they can supply to US industry, to the Middle East, to Europe. The Turkish Airlines 737-800 simulator was the first full flight simulator manufactured under the Turkish Ministry of Defense security clearance. With the largest mission training center in the world, and all the simulators connected, 6 full mission simulations can be connected from 6 different cities in Turkey, and it was noted that the 7th was coming soon. It’s not just about flight training, there is truly so much more to offer. Mr. John Kelly, Vice President, Business Winning & Strategic Planning, BAE Systems shared thoughts regarding the future of US - Turkey Industrial collaboration, reflecting upon the past lessons learned as well as a discussion about their joint venture FNSS. It started small, around one product, the M113 an armored personnel carrier, and it has grown from there to be a leading a manufacturer and exporter of armored vehicles. Now compliant with all of the European and NATO standards, they have 850 personnel, mostly based within Turkey and they are currently trading around 350 million USD per year. FNSS has put their own investment in, but also matched by TUBİTAK in terms of investment incentives, investing in the products and capabilities of the Turkish business. The result is a movement from licensed products into indigenously created products, and today it is very much about indigenously created products, designed and developed and manufactured in Turkey. Not only are they selling to SSM but they are now successfully exporting to other overseas partners. Amidst the theme of this panel, it was noted that consistent and very high quality engineering talent is coming from Turkish universities; and as result, the challenge going forward will be retaining that talent in Turkey; with the temptation to work in Europe and the US. Turkey provides strong support for indigenous R & D projects and the incentives have made a difference for FNSS. It was noted that FNSS provides excellent examples of the path to indigenization starting from simple beginnings, to quite complex systems now that they design, develop and integrate and build within Turkey. The question posed was could a market for more Turkish products be found, both within the US and in Turkey as well. Mr. Hayri Torun, Operations and Energetics Systems, Roketsan reflected upon Roketsan’s product portfolio and company evolution, noting that they evolved starting from rocket systems to missile systems and continued increasing their range in missile systems. Although it is a young company, with 2100 employees of which 54% are engineers, Roketsan has gained various critical technologies. This includes the design, development and manufacturing of rocket and missiles systems as well as the weapon systems. The major technologies are composite propellant manufacturing, warhead and fuse production, missile final integration and testing. 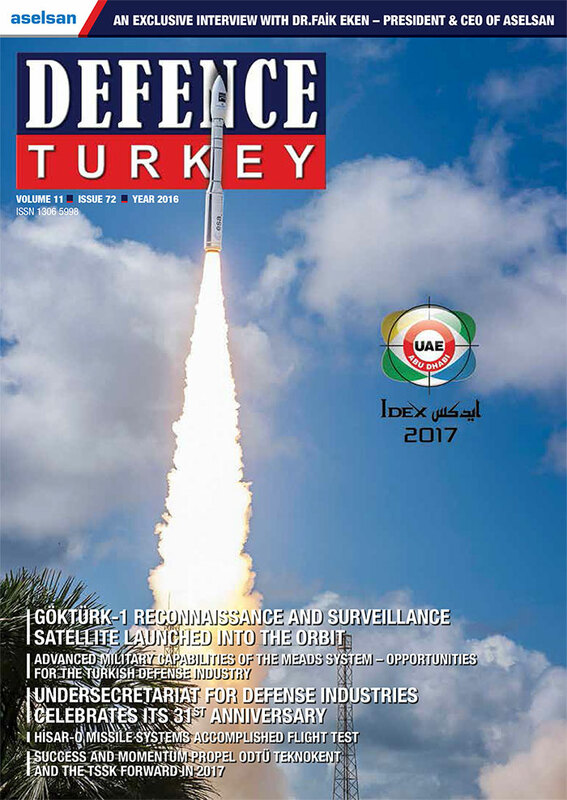 Turkey has launched a significant number of programs for the development of indigenous defense systems in the last fifteen years. The technological maturity level of the defense industry has been significantly increased through these programs and the subsequent research and developments. The Turkish and U.S. defense companies have been cooperating in co-production for the benefit of both countries. In the early 90’s the company used to develop artillery systems and now they develop the missile systems that are in serial production and being sold to allied countries. Roketsan signed a contract with SSM to develop the Long Range Antitank (UMTAS) Missile and Medium Range Antitank (OMTAS) missiles which are in the serial production now. When they were established they signed a contract for the European Union co-production program valued at $ 140 million. Stinger was their first program, they received the technology transfer, then started to cooperate with Raytheon for parts production, and in 2000 cooperated with Kongsberg Defense & Aerospace (KDA) for the production of Naval Strike Missile (NSM) Launcher. Roketsan manufactured and delivered launchers to KDA for Norwegian Government requirements. The final integration and testing of Rapier Mk II missiles required by TuAF were carried out by Roketsan under the MBDA UK contract. It was noted that they produce the actuators for Mk II missile as sole source in the world. The cooperation with Raytheon and Roketsan, was described as a true partnership for the production of Patriot GEM-T control section, which are being manufactured by Roketsan as the global sole source of supply. Roketsan has been awarded by Raytheon for the design and development of a warhead for one of their missile system, and it was shared that design and development activities in the program are at the final stage. This warhead will be used by US, Turkey and several other nations. It was noted that the extension of cooperation with the warhead design and development is the result of trust and the true partnership established between the parties. Another example given, to highlight the company’s cooperation with US companies is with LM Missile Systems. Lockheed Martin and Roketsan have signed an agreement for the co-development of SOM-J Missile System. The missile will be used by Turkey, US and several other nations within the F35 program. Turkey aims to be one of the 10th largest economy in the World by 2023. Although described as allies and great partners, US-Turkish trade volume is not sufficient. The total trade volume was approximately 16 billion USD in 2015. The US has become the 5th largest export market in 2015, which also needs to be enlarged and increased. R&D activities within the Turkish defense industry have been significantly improved over the last decade. The total number of companies that have registered their R&D centers with the Ministry of Science, Industry and Technology has reached to 16. The total number of employees working in the defense industry has reached to 32,000 in 2015, with 34% of them being engineers. It was mentioned that this is true evidence for the great potential of the defense industry in design and development activities. The technology development investment in the defense industry was approximately $900 million in 2015, with $600 million coming from government incentive and support. Turkish Defense Industry has a mature design, development and production capability to serve both Turkey, the US as well as third countries. A significant amount of investment in defense system development and production has been made in Turkey. The development of Turkish Industry would not have been possible so rapidly and with stability without the extensive support provided by SSM. Mr. Richard Sandifer, Senior Director, International Capture, Raytheon discussed a very bright and positive future in collaborating with Turkish industry in both defense and commercial. Raytheon has 4 major business units; Integrated Defense, Missile Systems, Intelligence and Cyber, SAS (main products are space and airborne systems). The role that industry has and will continue to play in the future, to ensure that the alliance between the two countries remain strong was underscored. Allied partners and their industries must work together to develop the mission capabilities to address the growing threat of hybrid warfare that is seen today. Today’s military defense challenges and the need to be more competitive and responsive to the customers’ needs point to greater opportunities and benefits when there is cooperation and collaboration across both industry and government, particularly important in cases dealing with such sensitive technologies. Collaboration with the US government in how international business is approached is of essential importance. This is a key part of Raytheon and many other company strategies in building and leveraging industrial partnerships. The most important aspects of collaborating with Turkish industry for Raytheon were detailed as: collaborating to spur innovation, to increase industrial growth and to create viable capabilities not just for the home market also for the export market as well. Due to the fact that Raytheon SAS deals with very sensitive technologies, their road ahead was described as having to be very well conceived, very well planned. It will be essential to develop a business plan that is a win-win for all stake holders, for Raytheon, Turkish Industry Partners, Turkish government and the US government. The need for the support and approval of the US government on how they intend to execute this plan, which will include significant technology transfer, is crucial. Raytheon shared that they will work closely and clearly communicate with their Turkish partners and Turkish government to completely understand what their desires and needs are as far as technology transfer, innovation and their export market future. The selected business model that they might use, a team agreement or joint venture or otherwise, will have to fit the technology in question, the number of partners that they would have involved, the shared intellectual property (a key issue that absolutely has to be addressed) the ability to export (essential for the Turkish partner and Turkish government that approval is retained from the US government) and shared revenue. With a well-planned approach, and a close relationship with their Turkish partner, ensuring that both partners derive equal benefit from that approach, having support from both governments to achieve advocacy, was highlighted as one of Raytheon’s main goals, with the ultimate end result of getting into international competition with their Turkish partner and to be successful. On behalf of Havelsan, Mr. Yüksel Öztekin, Havelsan Chairman of the Board of Directors and Mr. Taner Düvenci Deputy Chairman of Havelsan received the award from DEIK Chairman Mr. Ömer Cihad Vardan for the contribution to the US-Turkish relations and the support to regional technological development. In the ceremony, it is stated that Havelsan’s numerous success and projects have made it a regional leader in the field of defence, security and IT Systems. With its network based and autonomous technological solutions, Havelsan has a made a difference through its regional security as well as US- Turkey. The conference was closed out with a Night Gala Dinner. The Keynote Speech was given by The Honorable Tony Blinken, Deputy Secretary of State. The introduction was given by Eren Özmen, CEO, Sierra Nevada Corporation; Keynote Speakers included The Honorable John R. Bass, United States Ambassador to the Republic of Turkey and H. E. Serdar Kılıç, Republic of Turkey Ambassador to the United States. The conference provided an enriching opportunity for attendees to connect with each other, by fostering greater personal and commercial ties, bringing the countries closer together on the path to prosperity. ATC Membership continues to grow in number and in sector and there is much more at stake. 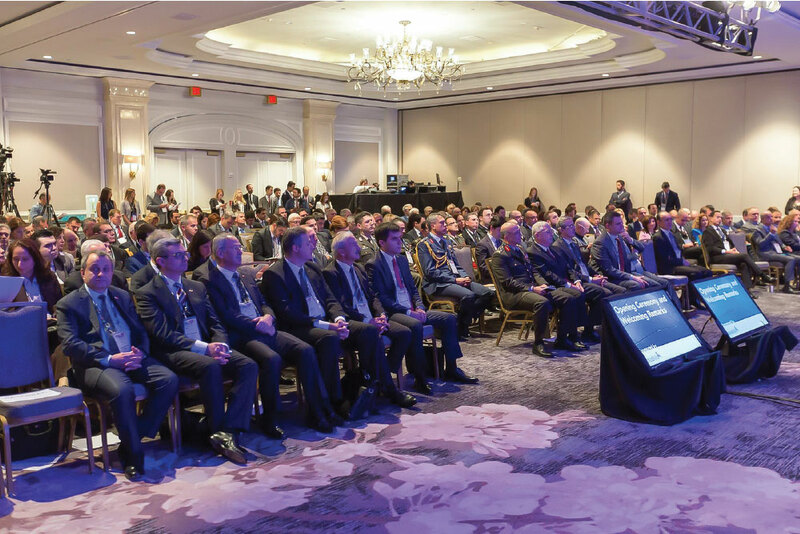 As the ATC looks toward the future with programs such as the Chairman’s Trip, Turkish companies are provided guidance in interpreting the US Business Landscape. The ATC serves its members as a critical voice, source of knowledge, trade convener, and diplomatic counsel in both Washington, DC and Ankara. The ATC helps member companies grow by providing them opportunities to leverage their brand among chief stakeholders. The ATC’s advocacy efforts aim to shape policies that advance U.S.-Turkey trade relations. The organization’s local market expertise provides members with essential insights and information to enhance their strategic capabilities. They develop members’ networks by facilitating relationships with private sector leaders, educational institutions, policy makers, and high-level government officials. Their diverse membership includes Fortune 500s, multinationals, and U.S. and Turkey-based small and medium-sized enterprises from multiple sectors. Equipped with decades of experience, expertise, and an influential network, the ATC provides its member community with opportunities, services, and programs designed to resolve business challenges and strengthen linkages between the two countries.